Shashi Subramaniam Hi sir, What should be my strategy for the next 25 days. How many mock cats per week? Hemang Panchmatia I am assuming you have completed studying all the modules in QA and VA. I would say take 3-4 mocks a week. Combine it with module wise tests (1-2 a day) for productive 25 day study plan. Suresh Vasani Sir I am finding difficulties in DI. How to handle it? Should I take more sectional tests in DI? Hemang Panchmatia First start with solving 3-4 sets a day. Make sure you are well versed with the percentage module, solve different types of DI questions (bar diagram, pie etc). After a week, graduate to solving 4 sets in about 30 mins. learn to identify the easier sets from sectional tests. Make sure you know reciprocals well (what is 1/13 etc). Gururaj Sir, how to tackle problems in time speed and distance? Should I try to work out the answers by substituting the options? Hemang Panchmatia Options will not work for all questions. TSD is an important topic. Why not try all the different questions from your books? Also, look at TSD questions as ratio/ proportion questions. Gururaj Sir how can I clear the QUANT cutoff? I want to maximize my score through verbal. Just want to get 95percentile plus in quant. I am getting in the eighties to nineties in QUANT. Comfortable with percentages etc. Not comfortable with surds, P&C. Trying to identify and attempt sitters and clear the cutoff. Making some mistakes because of pressure. Hemang Panchmatia It looks like a decent strategy. can you attempt around 25 questions in Section 1 ? Sanu Rajan Sir, can you tell the minimum score to get in CAT to get 99+ percentile. Hemang Panchmatia I have maintained that around 60-65 attempts with 85% accuracy should be good to reach the coveted 99 percentile mark. ARUN KUMAR Sir, I am getting 50-60percentile in AIMCATS I am weak in QA and RC. Sir please give me some tips so that I can improve it to 85percentile plus in actual CAT. What should one do in the last 20 days to improve QA, RC, VA score if he is not so good in all these? Hemang Panchmatia Please solve a lot of sectional tests – make sure you are comfortable with Algebra, geometry and Number system. These are the most important modules. ARUN KUMAR Sir, I am comfortable with numbers and geometry, but when it comes to algebra I am not so good. What to do with algebra? Hemang Panchmatia Please spend next 2-3 days trying to solve all Algebra questions. It is a very important topic and you cannot afford to leave it to chance. Pushkar Singh I have not given CAT . But I have cleared SBI PO and IBPS PO. Can we compare these 3 exams. according to difficulty? Do u think I can clear CAT? Hemang Panchmatia Please go through my article on Verbal Preparation published here. Pushkar Singh Sir is regular coaching necessary for CAT for me, I cleared SBI PO as I told , But need lot of work at verbal. If yes, should I go for TIME of Career Launcher? Hemang Panchmatia Coaching will give you the necessary structure – it is recommended but not mandatory. As I run IDEAL CREDENCE, a test prep institute, it would not be wise for me to comment on other institutes. If you are in Mumbai, please do consider joining us. Pushkar Singh In SIMS there is reservation for wards of defence personel. Is there any other top b schools where I can find reservation? Hemang Panchmatia SIMS is the only one. Pushkar Singh How much should NC OBC candidate aim in cat fot top 6 B schools? Arun Ravintharan Sir how do we approach pressure of performing on the D-day..? Team InsideIIM Sir. One of the most common questions we are getting from students is regarding the number of attempts and the accuracy. How many questions to attempt, what should be the target level of accuracy. Your thoughts on what is the best strategy – to get 99+ percentile. Hemang Panchmatia In my experience, 25-28 questions in Section 1 ( with 85% accuracy) and 27-30 questions in Section 2 will fetch 95 percentile score. 3-4 more questions will take it to 99 percentile +. Deepak Ramanathan Sir, Geometry is a problem area. Should I give time to try and brush up concepts now, or should the focus be only on test taking and analysis of mocks. Hemang Panchmatia Geometry is very important -across all exams. Please brush up the concepts at the earliest. Shashankjha Sir. I am taking CAT and XAT only. Am consistently getting 98-99 percentile. What should I do after the CAT. 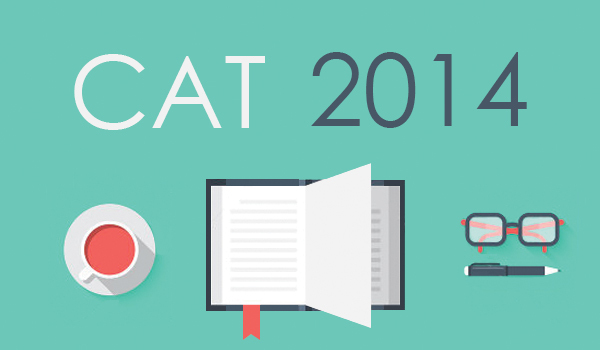 Should focus be on test prep for XAT or GD-PI prep. Hemang Panchmatia It is not either or question. Please do both. Spend 60 minutes a day reading current affairs etc and the rest preparing for XAT. Only area you need to study will be Decision Making. Rest will be solving Mocks. Hemang Panchmatia Around 97-98 percentile would be my guess. Jana JD Janardhan Can you suggest which all? Team InsideIIM You have to maximize your CAT score. Look at the exam as ‘What is the highest score I can get’ rather than “What is the minimum score I need”. There is no guarantee about what that minimum score will be the same this year. It is not in your hands. What is in your hands, is your efforts, your attempts and the test score. Jana JD Janardhan Correct sir. Actually I started my prep just one month back. Want to make sure the maximum percentile which is the range between top 50 students. So that I will get a call from IIM-A. Need your comment on what percentile I should target? Jana JD Janardhan Analyzing all previous CAT papers would be helping? Team InsideIIM Yes, it will. Jana JD Janardhan Thank you sir.. Can you give me number count. How many mock cats I need to write in this 25 days? Hemang Panchmatia 1 every alternate day. Jana JD Janardhan Is this time good for sectional tests? Prabodh Dasari Sir, how about MYRA’s PGDM.Is it worth for joining a new b school investing something around 10L? Team InsideIIM The PGPX placements have been encouraging. You can wait for the PGDM placements of the first batch this year and then decide. Team InsideIIM Also remember that you can ask us anything about MICA, MYRA school of Business, TAPMI, Great Lakes, SDA Bocconi and XLRI at anytime through our counselling desk or through email. They are our partners for the year.